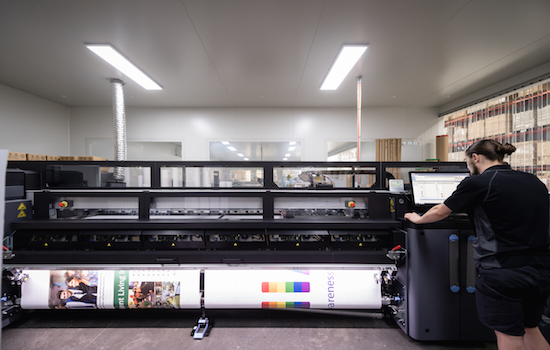 < 7 units - 24 Hours (1 working day) after artwork proof sign off. 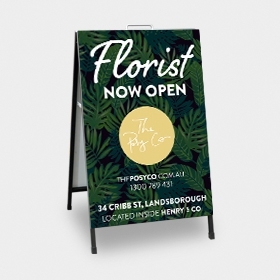 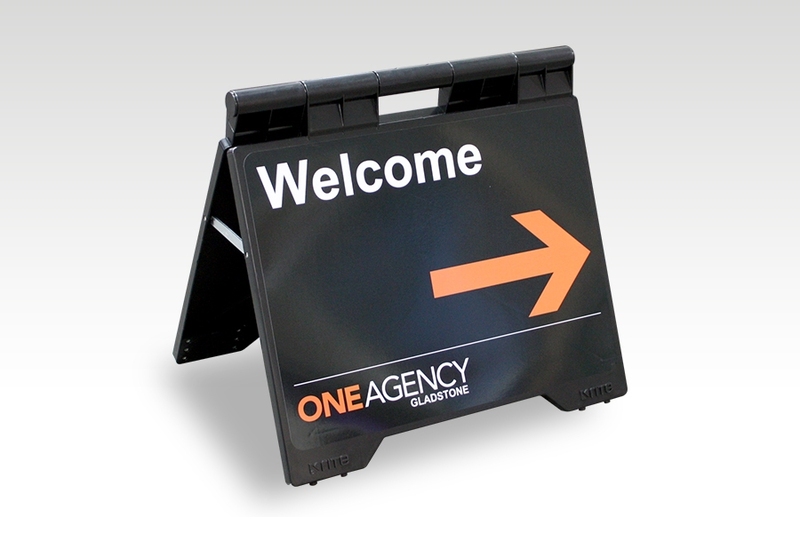 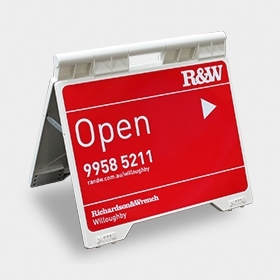 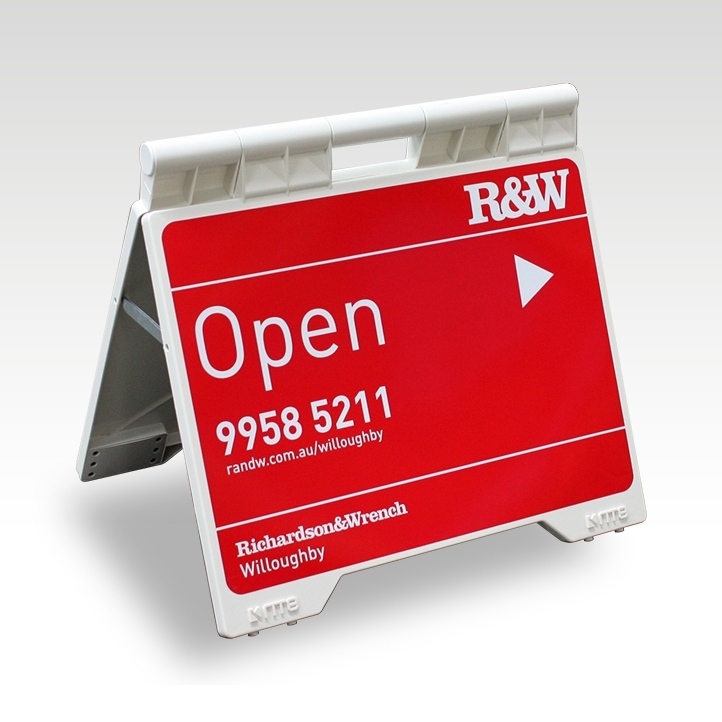 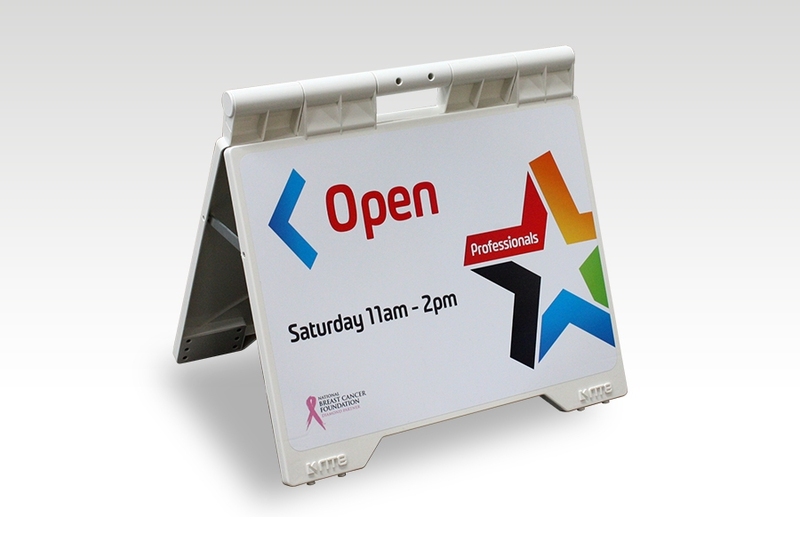 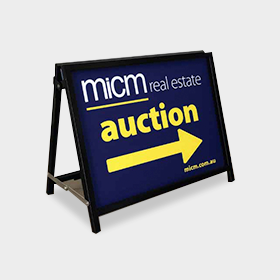 The Evarite A Frame has been designed as the perfect directional sign for Real Estate agents to advertise open house inspections. 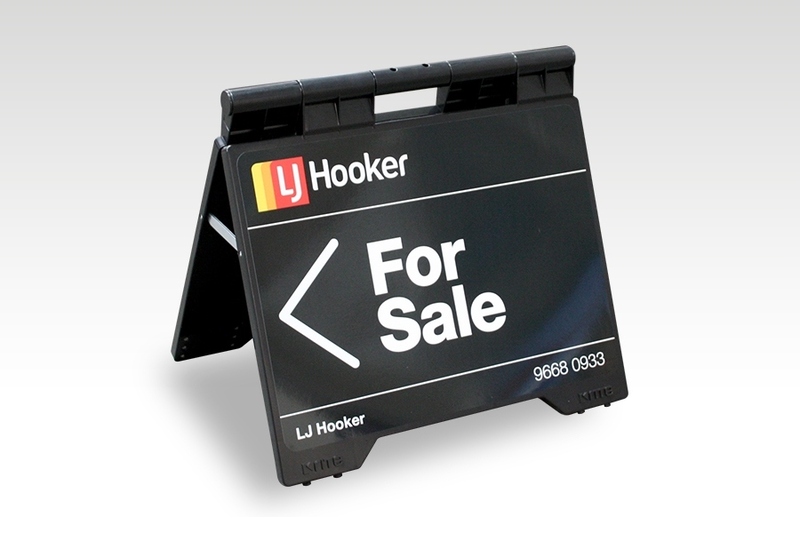 It has the same features and style as the well known Enduro Sign A frame but has an improved handle and hinge system which is built into the sign itself - so no more broken hinges! 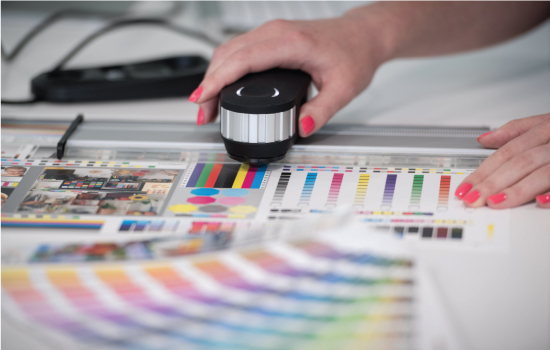 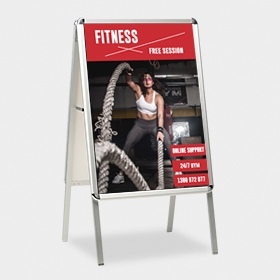 The Evarite A Frames are light weight and compact, made from high impact resistant plastic are pretty much indestructible - and come with a 5 Year Warranty! 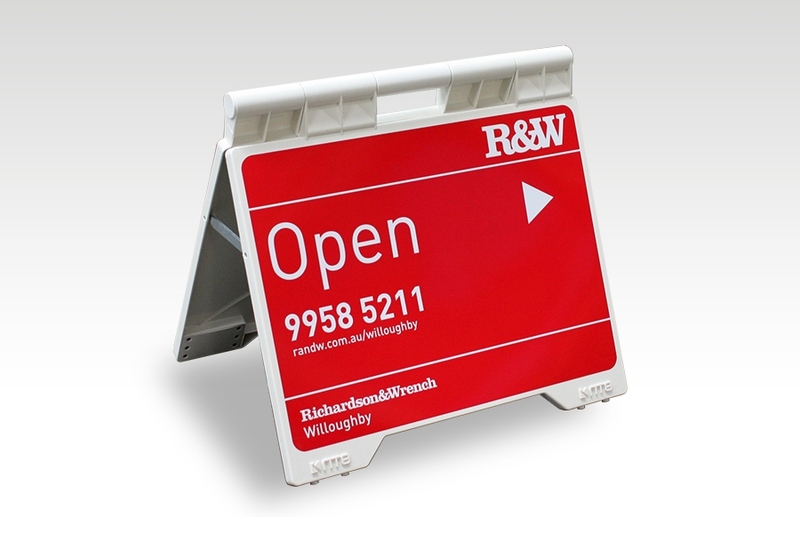 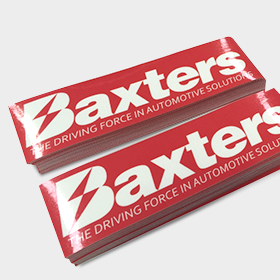 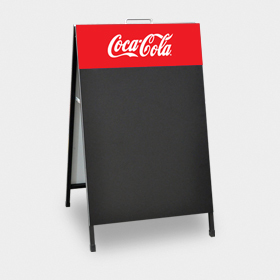 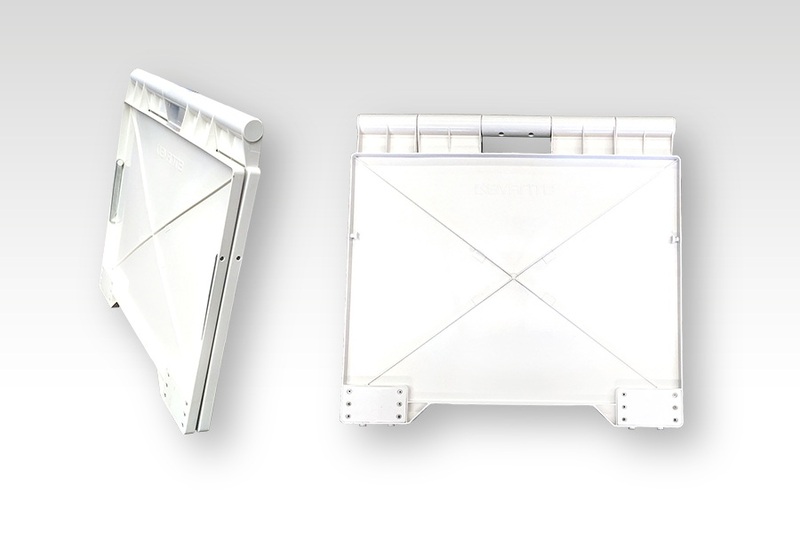 Heavy duty white plastic frame with strong hinge and handle - backed up by an amazing 5 Year Warranty !! 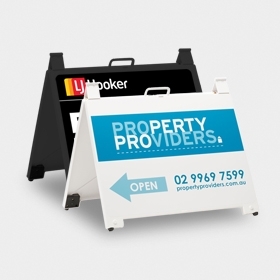 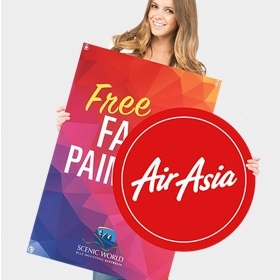 How long will my Evarite Real Estate A-Frame take to produce?